[New York, NY – September 12, 2018] Fresh off the heels of her riveting performance on Black Girls Rock, MBK Entertainment/RCA Records rising R&B superstar, H.E.R. announces her second North American headlining tour today. Kicking off November 10th in Atlanta, the “I Used To Know HER Tour” will make stops in a number of major cities including New York, Chicago, San Francisco and more. Bri Steves and Tone Stith will join the tour as the opening acts. Pre-sale tickets are available today at 10am ET via Spotify, and on sale to the general public on Friday, September 14th. See full list of tour dates below and for more information, please visit: http://www.her-official.com/. With over one billion combined streams to date, the release of the breakthrough H.E.R. Volume 1, H.E.R. Volume 2 – The B Sides, and I Used To Know Her: The Prelude, H.E.R. has quickly established herself as one of modern music’s most fascinating new voices. After captivating audiences with her medley performance of “Focus” and “Best Part” with Daniel Caesar on the 2018 BET Awards and commanding the stage on her own sold out headlining domestic and international tours, in addition to the Chris Brown Heartbreak on a Full Moon Tour, anticipation continues to grow for the release of H.E.R.’s official debut album, signifying that the future is bright for this young star. 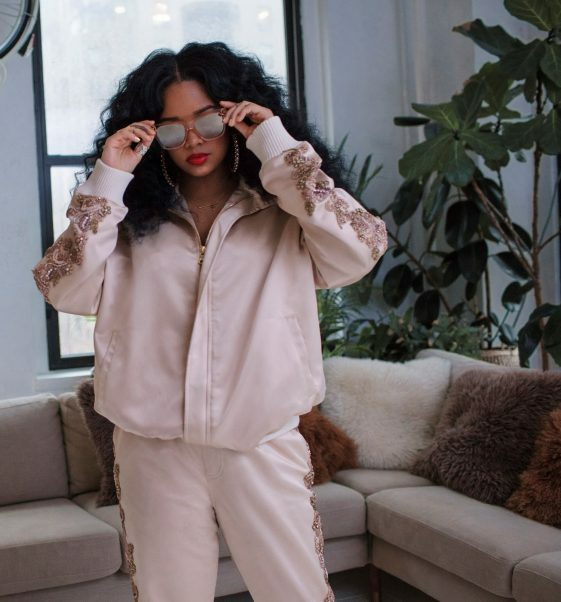 Apple Music Is With H.E.R.